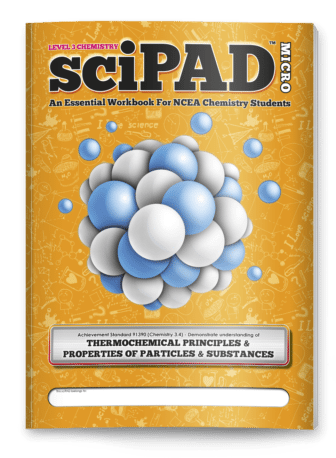 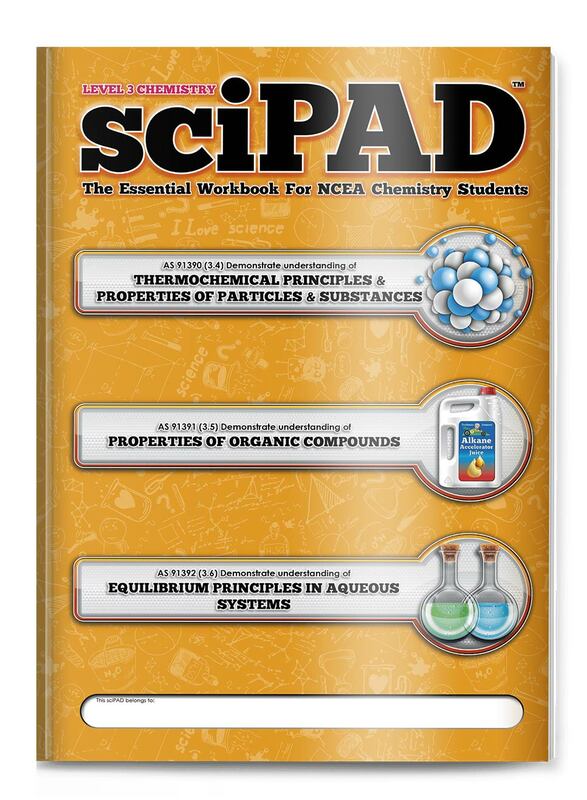 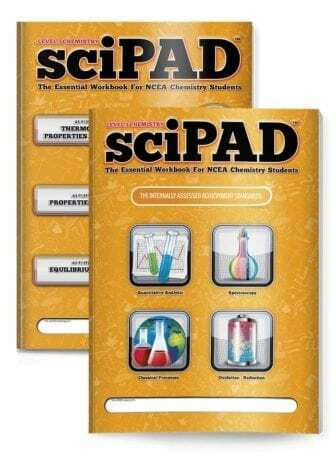 The Level 3 Chemistry sciPAD workbook provides comprehensive coverage of the three Level 3 Chemistry externally assessed Achievement Standards AS 91390 (Chemistry 3.4 -Thermochemical principles and properties of particles and substances), AS 91391 (Chemistry 3.5 - Organic Compounds) and AS 91392 (Chemistry 3.6 - Equilibrium principles in aqueous systems). 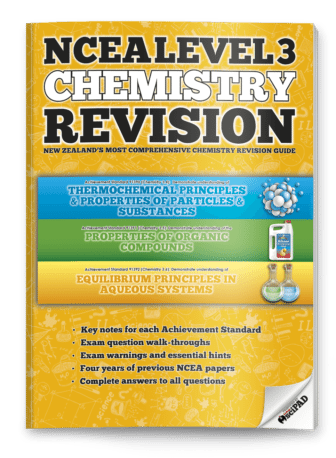 It is completely new from the ground up - not a rewrite like other Chemistry workbooks. 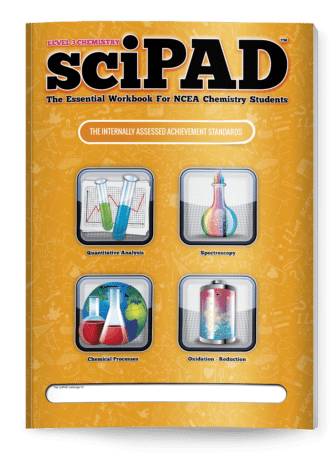 At 328 pages you won't find a more comprehensive, exciting, or engaging chemistry workbook for your students.